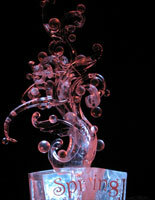 In Feb 2009 I competed in The Ice Art World Championships, single block competition , abstract catagory. 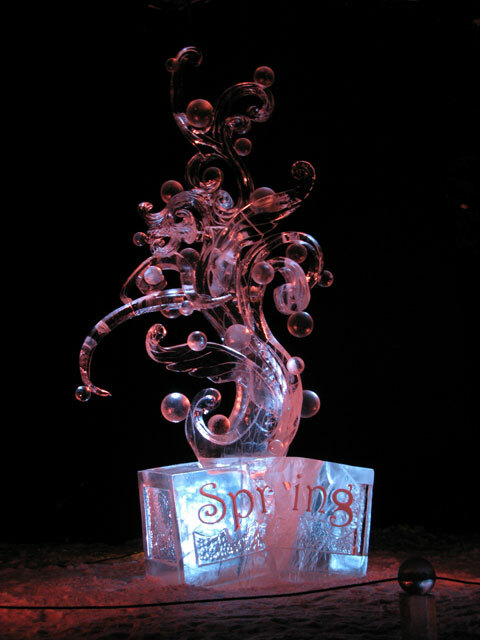 My team mate American Arron Costic and I were awarded 1st place after the 60 hr competition for our carving "spring" Arrons design being an interpretation of the coming of spring in Alaska. 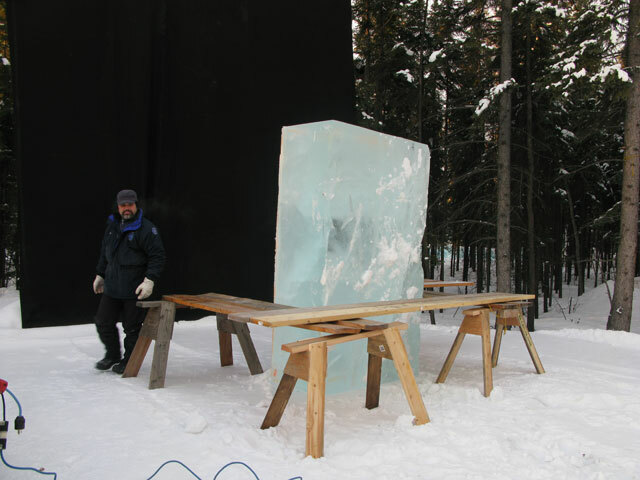 Ice Alaska is a unique opportunity for ice sculpters to carve with very large blocks of beautifull ice outdoors in the company of many of the worlds best ice carvers. 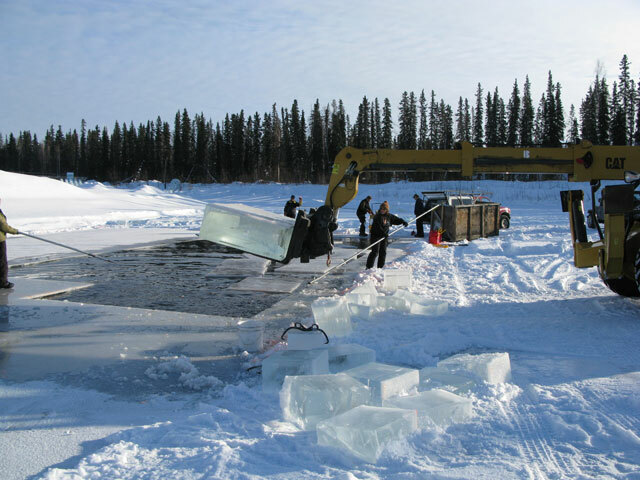 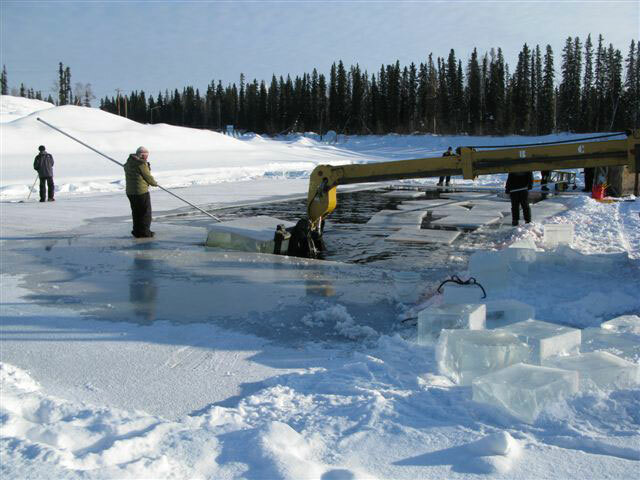 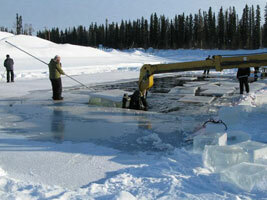 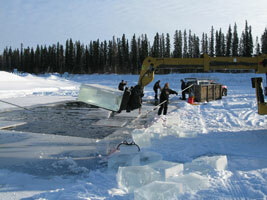 The blocks are harvested by the expert team from Ice Alaska from a local lake only a few hundred meters away from the competition. 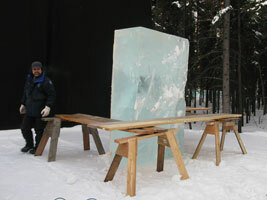 Arron with our block prior to starting. 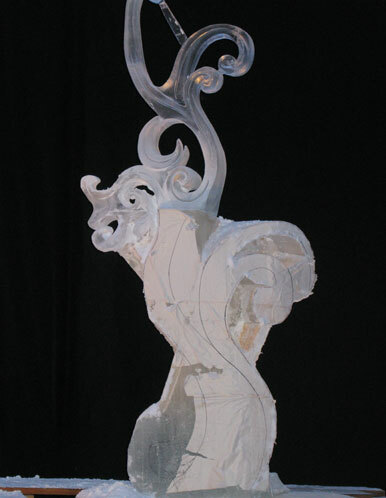 8 hours in and the main body is taking shape.